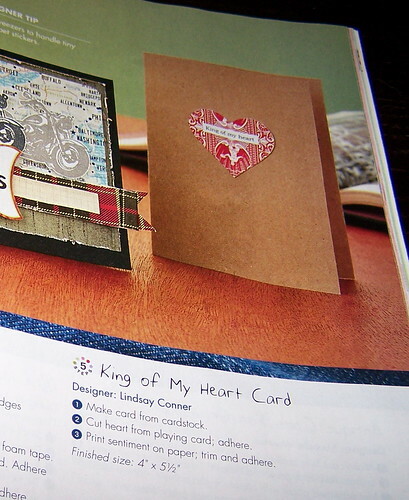 A simple card for the man in your life, and my first magazine craft! For the last few days, I've been checking the mail. A lot. I've been driving to bookstores and craft stores to check out the magazine shelf, trying to get my hands on one of these. Today, I checked the mail and got a sealed envelope with my name on it, with this lovely little mag stuffed inside. Finally! 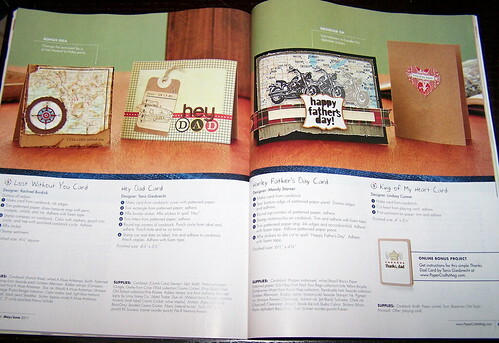 Early this year, I submitted a couple cards to Paper Crafts, based on their call for submissions requesting masculine cards. I was hoping to do something with these random playing cards we've had around the house for quite some time, and I came up with this simple little design. And, what do you know...they loved it! 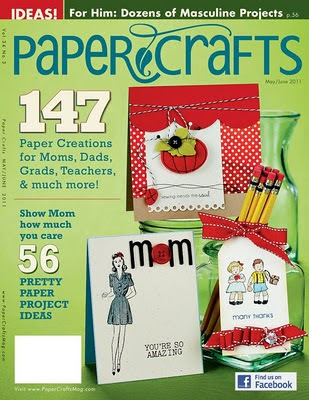 Next month, I'm going to be doing the same eager song and dance, waiting for Cricut Magazine to come in the mail. I've got a Father's Day card published there that I can't wait to share! But I'll "tie" to keep it a secret. Are any of you sewists out there also paper crafters? I still consider sewing my first love, but sometimes it's fun and even challenging to switch it up. oooooh! Love it! Congrats, Lindsay!!! Congratulations!!! I only sew - there's only so much room in the house (and budget) for supplies. I can't possibly take on anything else!! Congratulations! How cool is that! Congrats, that's so exciting to see your work published!! LOVE IT!!! You are so creative and resourceful, Lindsay. Congrats on your card being chosen! !